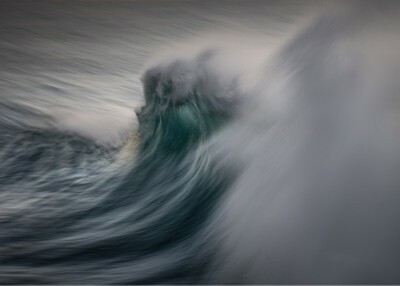 Captivating natural abstract, very dynamic photograph. A brilliant capture of the action! Dynamic, cold. More effective than if it were sharply focused. a most impressive wave, and even a more impressive photo; a masterpiece.